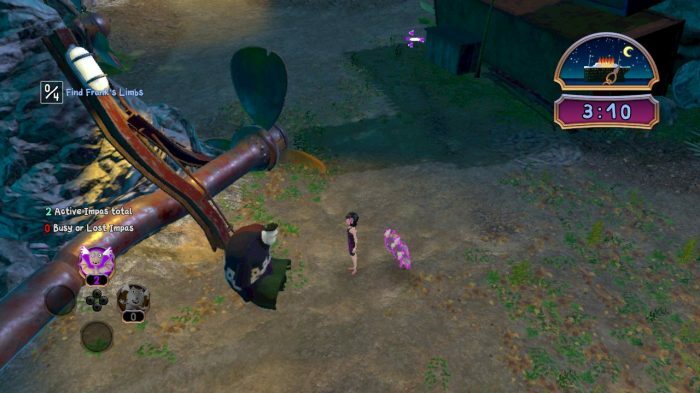 Of all the game genres that a movie tie-in could be: Platformer, action-platformer, puzzle-platformer, side-scrolling platformer, or even 3D platformer, I never expected to find a Pikmin clone in Hotel Transylvania 3: Monsters Overboard. To its credit, in the absence of Pikmin 4 (which i’m sure is in development), it’s actually charmed me. Released to coincide with the third Hotel Transylvania film, and loosely following its plot, Hotel Transylvania 3: Monsters Overboard is a strategy/adventure game that mirrors Pikmin largely in terms of gameplay. Shipwrecked on tropical island, The gang’s holiday is at stake, and not that kind of stake either. 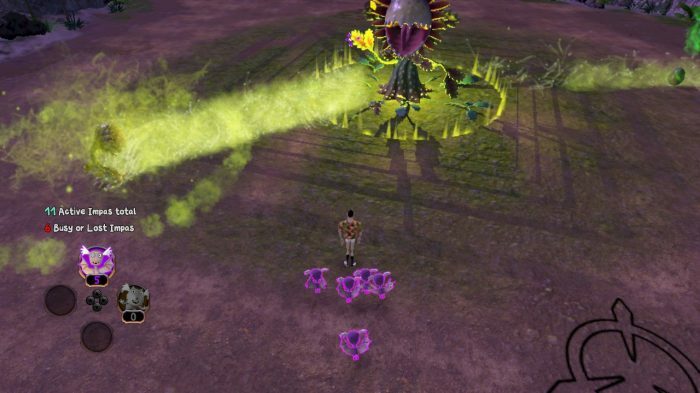 Players take control of either vampire Dracula or Mavis, befriending creatures called Pikmin Impas that can adapt into different types depending on the challenge ahead. Whilst exploring a tropical island, solving environmental puzzles, collecting treasures and fighting enemies, players must also race against the clock, with each day having a ten minute time limit. Vampires can only be out at nighttime, and for that reason I don’t really understand the logistics behind Dracula going on a cruise to be honest, but it fits the story of the film nicely as a gameplay dynamic, and shows that the developers have actually put some thought into the game with fans and the franchise in mind. The ability to choose between both Adam Sandler’s character Dracula and Selena Gomez’s Mavis is a nice touch, and each have their own quips and one liners throughout. In fact, The Hotel Transylvania films are known for having quite a star-studded voice-cast, and Monsters Overboard has good stand-ins in their place. This is a difficult achievement when you have such distinctive voices as Andy Samberg and Steve Buscemi. Presentation in terms of music and visuals isn’t anything special, but again it does carry the same vibe as the film. Monster-Mash: Monsters Overboard incorporates many of the film’s characters into the gameplay, with the Impa minions learning different abilities based on them. Kudos to the devs for doing something a little different, and by different I mean copying from an established Nintendo franchise that’s a little different, but Monsters Overboard is ultimately a facsimile of Olimar’s outings, and there are a few shortcomings that show the differences between it and Pikmin as NIGHT & DAY. See what I did there, because of the game’s day/night dynamic. Frighteningly bad. The controls in this game are not good, and it’s a shame because in a game like this it literally has a knock on effect on everything else. Character movement is a tad jittery, Impas are sometimes hard to direct and retrieve, and aiming the cross-hairs when trying to direct the Impas is about as sensitive as Drac’s skin at dawn. The levels themselves, three different islands to explore (because we were shipwrecked onto three islands and don’t say anything about it because, you know, reasons), have quite a bit of replay value to their credit, with hidden treasures throughout that require you to revisit once you’ve gained certain abilities, giving replay value to completionists. The lack of a mini map however, and the repetitive nature of having to meander back and forth, through stages that are uninspired and confusing, is discouraging. Little Shop of Horrors: Monsters Overboard also features boss battles, such as Petey Piranha here. 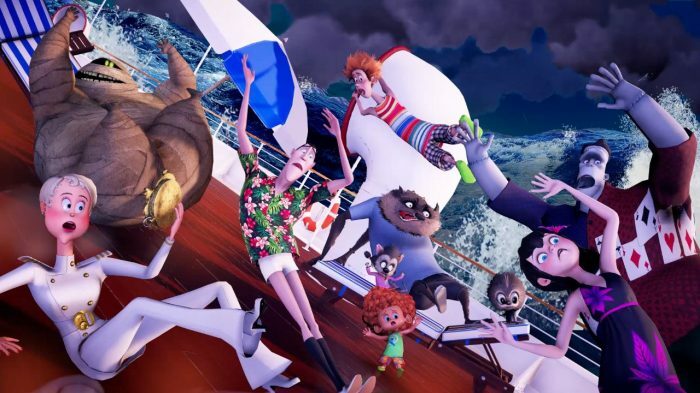 As far as movie tie-in games go, Hotel Transylvania 3: Monsters Overboard is not bad at all, and caught me off guard with its surprisingly thoughtful use of the beloved Pikmin formula. Lest we forget that Adam Sandler’s Dracula beat Olimar to the Pikmin punch on Switch. 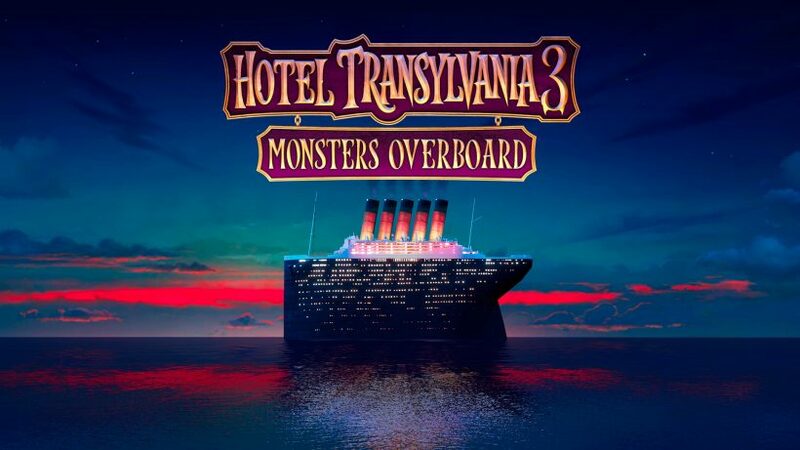 I’d recommend Monsters Overboard if you’re a fan of Hotel Transylvania, and therefore the devs have done their job with the movie tie-in. It’s no-where near as good as Pikmin, but the characters are here, the voice acting is done well, and the gameplay genuinely fits the theme and is pleasant enough to hold me over until Olimar’s return.